My first real Minecraft mod (or an addon for another mod at least...). This TFC addon adds Chisel(the mod)-like function to the TFC chisel, but does it the "TFC-way". It also add some aesthetic blocks to make your builds look awesome! I will add more blocks, as soon as I can make more textures, and if anyone will contribute with textures, I will add them to this addon! Removed - experimental Carpenter Blocks support (should never been in the release at the first place). Fixed - Chisel mode icon. Fixed - With some help from Dries007, the crash at startup is fixed now. Fixed - Hopefully fixed the Wood Planer crash at startup now? Added - Planed wood planks. 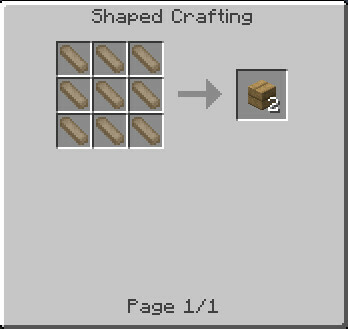 Added - Recipes for wood blocks. Added - CTMLib is now included in mod. Added - Planks (only available from creative tab at the moment). Added - Keybinding, "N" for previous chisel mode. Fixed - Addon now able to run on dedicated server. Added Igneous Intrusive and Igneous Extrusive stones. Thanks to the Chisel 2 guys for their awesome CTMlib! Thanks to XxNyssaXx for textures (plank blocks)! 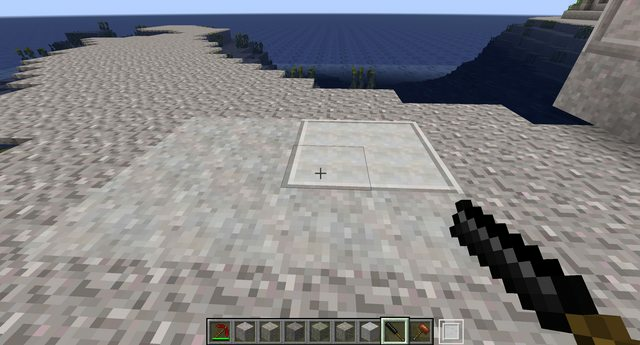 You have textures for a block you want to add? Gimme and I will add. Ideas for things this mod could add, give me a PM. - Wood planer (one for each of the TFC metals) What is a wood planer? 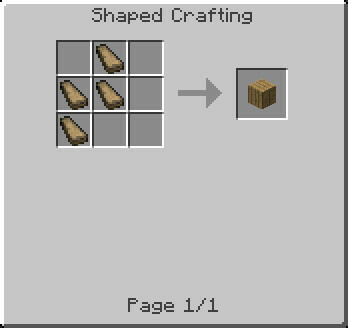 Also for my planned support of CarpentersBlocks, a carpenters table would be awesome. Question. Does your mod adds the blocks to the creative inventory? If we break the block does it get destroyed, or do we get a block that we can place somewhere else, like the smooth stone? Thank you. You can find the blocks in the creative inventory and if you break them with a pickaxe they will drop, just like smooth stone. 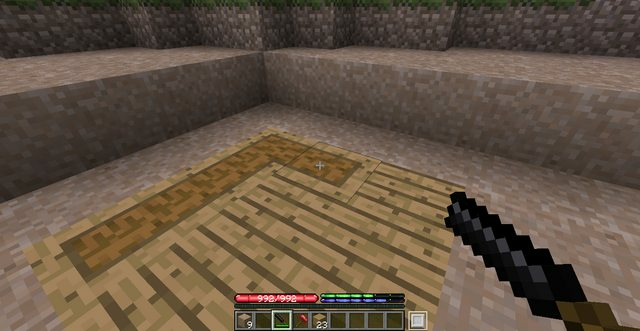 Not sure how you are doing textures, but for the limited I've done I found creating an overlay that could be applied to each block made it faster. Looking at yours what might work best is taking all raw stone, reducing noise a bit and brightening the before applying the overlay. Hope that helps, definitely looks nice so far. Not sure how you are doing textures, but for the limited I've done I found creating an overlay that could be applied to each block made it faster. Looking at yours what might work best is taking all raw stone, reducing noise a bit and brightening the before applying the overlay.Hope that helps, definitely looks nice so far. Currently I have been tinkering in GIMP. I use photoshop, but the basic principle is the same. Create a layer that is the highlights and lowlights with black and white gradient. For example for the smoothed stone I'd make make a white border starting at top left corner and then have it reduce in a gradient as it went down and to the right. I'd make a black border starting in bottom right corner and gradient as it goes up and to left. So you have a layer that is just the outer pixels. Then put this layer on top of the base stone texture and reduce the opacity to probably about 20%. The noise in the base block with prevent it from looking flat. The just merge visible and save png. Apply that layer to next rock. You may want to alter all the base textures (copies not originals) first if you aren't getting quite the look you want. Raw stone is quite noisy and brighter than smoothed, so you can play with both. Once you have one done likely you can apply same process to all rock types. Alright, so i tried to run this on my private server, and even after removing all other plugins other than CTMlib, fastcraft, and obviously tfc, i get this crash error. I haven't ran it on a server yet, this is only a preview... but I shall look into it. Edit: I've fixed it, it should be working on the next preview version >0.1.0, thank you for the crashlog. A million thanks to @XxNyssaXx for the textures! I got a lot to do at work this days, so progress is kind of limited, but if any one else would be able to help with textures, or have blocks/items they want to see in this mod, give me a hint! Yes please. and wood planks would require nails to be placed. Crash Report for 1.0.0 http://pastebin.com/KfJmTgL8 in TFC 0.79.24.816. Thank you for your crash report, I already have a fix for it, and I will push it when I'm home from work. Excellent. I'll add it to the build your own TFC pack when fixed. After much frustration with FML's code, I found the solution for this problem, and cause I thought why not, I made a PR.